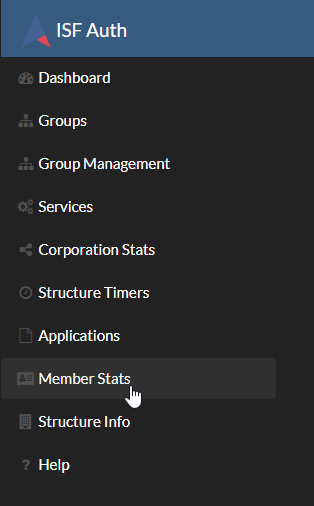 How to add tokens to the Member Stats tool. Step 2 - look to the navigation bar on the left side of the screen and click Member Stats. 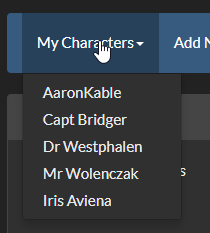 We will now start adding ESI tokens for your characters. This part of the process may be a little tedious if you have many characters and accounts, but you'll only have to go through it one time. Step 3 - From the Member Stats page, click Add New Character. On the following page, select the character you wish to add OR if you need to add a character from another account, click Cancel and you will be brought to the login page where you may enter the new account. 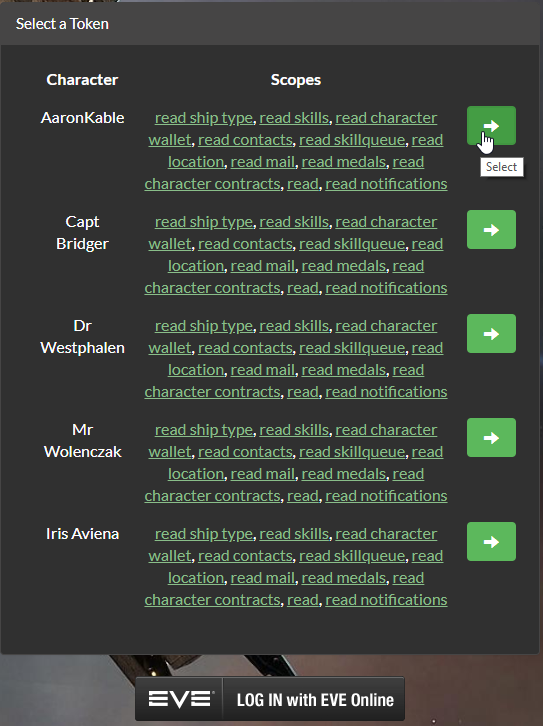 Step 5 - When you are done, you should be able to click the "My Characters" button in Member Stats and all of your characters should be listed in the drop down menu.